Wildlife veterinarians from UC Davis’ SeaDoc Society and partnering organizations are just beginning to take that individualized-care approach with the ailing orcas. The pod of whales has not produced offspring in three years, and many of its female members are approaching the end of their reproductive years. They both carry individualized, identifying characteristics. For the mountain gorillas, it’s a unique set of nose wrinkles. For the whales, no two have the same saddle patch, a white patch at the base of the dorsal fin. “If people didn’t love these whales and know them as individuals, there would be no political backing for this work,” said SeaDoc Science Director Joe Gaydos. For starters, they face different threats. For gorillas, it has been war, poaching, snares and habitat loss. For the whales, it’s a lack of salmon, underwater noise from boats, toxins, disease and a changing, warming ocean that may exacerbate those problems. There are no quick, singular fixes. The cause of Scarlet’s sickness was never identified. But she taught the team a lot about questions to consider and the diagnostic tools, equipment and coordination needed for future veterinary interventions, which are expected. Let Kids Be Kids, Inc. has an opportunity on Universal Giving to support our fight for Endangered Species. 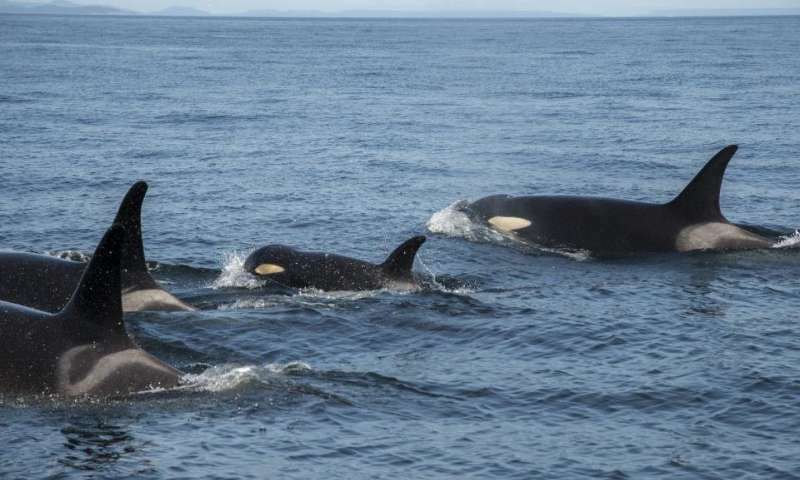 Next Orcas thrive in a land to the north. Why are Puget Sound’s dying?